Maxime Rion now makes most of the decisions at this exemplary estate, although he can call on his father Patrice – approaching his 40th vintage as a winemaker – for guidance. The Rions are a talented, forward-thinking family who were among the first in Burgundy to bottle some of their wines under screwcap, and whose eco-friendly tractor shed boasts solar panels and a rainwater purification system. 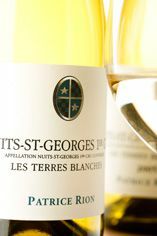 This is a fresh, fruit-driven Burgundy from vineyards just above Nuits-St Georges. 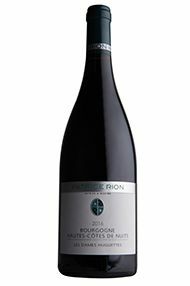 It is raised exclusively in used oak, which rounds the tannins and accentuates the wild, spicy character redolent of Nuits. Drink now to 2021. The Chardonnay (90p percent) is leavened by 10 percent Pinot Blanc here. The fruit and oak are in perfect balance, rounded and welcoming, with a more reductive crunch behind. There are little hints of verbena. This is very complete and very beautiful. Elegance and great length. Bravo. Drink 2018-2024. With more than 35 vintages under his belt, Patrice Rion considers that 2015 is the finest of his career, offering elegance, acidity and persistence. They began picking on 5th September and finished before the rain which arrived the following weekend. The only sorting that needed doing was to remove any dried-out berries. The yields were acceptable, just 10 percent down in volume on the previous vintage. Unusually, Patrice and his son Maxime have used some whole bunches on certain cuvées, notably the Clos des Argillières and Clos St Marc. Half the fruit here is from the domaine, the rest is bought in from their next-door neighbour. Very much in the Rion style, this has a compact core of plum and blackberry fruit, and no shortage of worthy tannins. It’s not as lush as some 2016s, and none the worse for that. Drink 2021-2026. 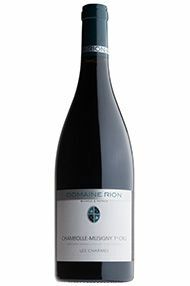 Patrice Rion and his wife Michèle began their own small domaine in 1990 with just two wines, Bourgogne Rouge, Les Bons Bâtons and Chambolle-Musigny Les Cras, while Patrice was still working as winemaker with his family at Domaine Daniel Rion. 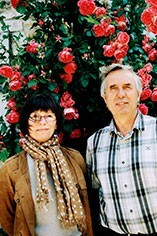 In 2000 Patrice left the family business to develop his own estate further. Today most of the vineyards are in Nuits-St Georges and Chambolle-Musigny. 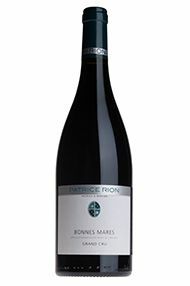 Recent vintages have seen the increasing involvement of Patrice’s son Maxime. The Rion cellar is a bit emptier this year, partially because of the frost but also, more significantly, because their arrangement in Chambolle for Villages, Fuées, Amoureuses and Bonnes Mares has terminated, and 2015 was the last vintage of those lovely wines. Maxime Rion initially found the 2016s a little “monolithic” after fermentation, but they have discovered their terroir in barrel. The vintage shows more red fruit than black, with the fruit of frosted vineyards having more colour. The long, cool end of season reminds him of 1996 but, whereas that vintage is only starting to drink now, the 2016s will open up earlier. The estate also has a new wine, a Bourgogne Hautes Côtes de Nuits from the Dames Huguettes vineyard. It’s made from bought-in fruit, but chosen from an especially well-sited and tended vineyard. The 2014 glows with an imperial purple. This is absolutely mouth-filling, with ripe, dark fruit. Beautifully balanced, this has a generous style without being plummy – long and very fine. Patrice Rion compares 2014 to a mix of 1979 and 1989 for the aromatics and delighted to have been able to pick a more or less normal-sized crop. He began on 12th September with healthy grapes, reinforced by his system of two sorting tables, one before and one after de-stemming. The amount of new oak has been reduced here, now just 30 percent on most cuvées. The 30 percent whole-bunch component has done wonders for this wine. Beautiful, fresh purple colour, with just a touch of crushed strawberry, this is actually very sensual. There is a fine sense of liveliness at the back and a marvellous, sweet, ripe raspberry fruit, really heavenly. Drink 2022-2030. 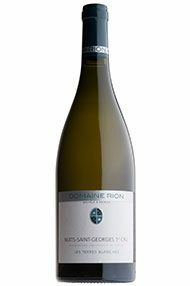 This is 10 percent Pinot Blanc, 90 percent Chardonnay; clear, bright and fresh with an absolutely beautiful nose displaying white flowers. There is a huge volume of fruit on the palate, with good acidity behind and really charming, dancing fruit. From the village part of the vineyard, with southerly exposure, this is quite a pale pink-purple colour, with a beautifully stylish nose; some minerality as well as Chambolle suavity. There is pretty red fruit, with lots of detail. The wine has good acidity, while the fruit comes bouncing back at the finish. 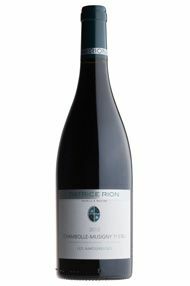 Medium deep purple, with a lovely sensual nose, this has classical Chambolle succulence, and an impressive depth of flavour. It very much shows the raspberry and cherry flavours of the vintage. Long and fine. Only one barrel of this wine is made for the whole world, from 40-year-old vines. With a bright, fresh purple colour, this has an attractive touch of wildness on the nose, typical of Bonnes Mares, with a wealth of fruit behind, a perfect balance of acidity, and excellent length. The glowing purple colour comes in part from the new wood (there is only one barrel of this wine).The bouquet demonstrates the requisite weight and glossiness while there follows a magical explosion on the palate of vigorous, dense fruit and some firm structure with oak tannins. This will be a very long-lived wine. Drink 2026-2040. This site was planted in or around 1945. The Rions have used some whole bunches here to balance the softer style of the cuvée, providing more structure and minerality. The raspberry fruit fills the middle of the palate, leading to an exquisite finish. Drink 2022-2030. This is made with their own grapes plus those from the girl next door. Brisk, bright, plummy notes, sit alongside fresh red fruit, followed by some good tannins, plenty of energy and some vibrant minerals, but this needs more time in barrel. Drink 2021-2026. A lively purple colour with a fine, ripe nose, again 30 percent whole-bunch was included, but this component is masked by the power of the fruit. Displaying a beautiful intensity, this is a more muscular wine than the Clos des Argillières, with a few more tannins, so expect this to be the longer keeper. Drink 2024-2035. Brilliant purple with a magical intensity of fruit, an absolute explosion of dense raspberry notes, great fruit weight on the palate, with energy and well integrated acidity. Exceptional length. Despite this being a very late season, Patrice compares 2013 to the fruit of early vintages such as 2007 and 2011, but with more stuffing. It also reminds him of 1980, a particularly successful vintage chez Rion. The 2013 crop is a small one though, a touch more than 2012 but less than 2011. They employed two sorting tables, and since the grapes which reached the vats were all healthy, they used less sulphur during vinification. Glowing purple with imperial majesty, this gorgeous wine has a brilliant nose with all the ‘come-hither’ aspects of this appellation and a very long finish. Les Amoureuses is lovely young or old. Jasper Morris MW, Berrys' Burgundy Director Patrice and son Maxime Rion are tweaking their techniques a little by reducing new oak and slightly increasing extraction in the pre-fermentation stage. The results are impressive; in 2011 the wines have come in naturally at around 12.5% alcohol and they show a true sense of balance. Rion's Clos St Marc, 1er Cru is always one of my picks as my favourite Nuits St Georges wine on our list. It has a serious feel to it, with a firm, chewy structure but there are bright, rich flavours of raspberry and cherry fruit and an expressive note of fragrant violet. The finish is long, lingering and succulent. Exceptionally heady, with a huge volume of fruit at the back of the palate, this Nuits-St Georges wine is so full of fruit that it completely covers the undoubted structure, and it just keeps on going! 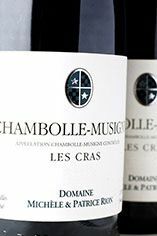 With brilliant fruit on the nose, this intense Chambolle-Musigny Les Cras from Domaine Rion marries lovely crunchy fruit and a touch of spice with an impressive finish. 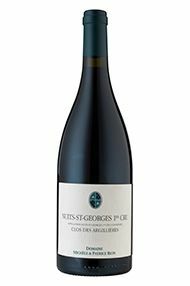 Patrice has bought an additional slice of the Clos des Argillières, which surrounds the Clos St Marc, to make this delicious Nuits-St Georges. The bouquet already entices although the firmer structure of the palate behind suggests that patience will reward the connoisseur.Medium deep in colour; quite tight nose as yet ungiving. Attractive fruit nonetheless with impressive density and length. Some darker fruit notes. 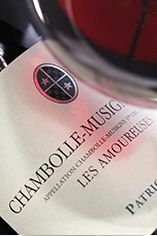 Bright pink purple with a very stylish – rather than explosive – nose, more redolent of Chambolle sensuality than Morey wildness. Great weight on the palate and a lovely mineral thread behind, fine and stylish. Lovely bright pink-purple with a gentle, graceful nose, combining both fruit and oak in harmony before the wine opens out sumptuously on the palate. Very long. Just a single barrel was made, and the wine is fullish purple in colour, with very good weight. It has huge fruit in the middle of the palate, and a firm structure with Grand Cru intensity and impressive length. Glowing purple with superbly elegant fruit on the nose and a concentrated wealth of ripe red fruit, beautifully balanced and very long. A real treat. This vineyard has been on excellent form for the last few vintages. Ripe and plump black cherries combine with an exceptionally sumptuous finish that is balanced by significant but ripe tannins. This is really fine wine that will benefit from long term cellaring. We have decided to combine here the wines that fall under the domaine label and those produced officially as négociant wines and labelled as Patrice Rion. Most of these cuvées are from vines managed by Patrice who has one contract to farm the vineyards and another to buy the grapes. The exceptions are the village Chambolle-Musigny and Nuits-St Georges Vieilles Vignes where Patrice is not involved in the farming. Patrice and son Maxime are tweaking their techniques a little by reducing new oak and slightly increasing extraction in the pre-fermentation stage. These are impressive results – the Nuits-St Georges continues the consistently fine streak of recent years while this is certainly the finest range of Chambolle-Musigny that they have ever produced. 2010 reminds Patrice a little of 1978 and 1991, two vintages with small yields, full ripeness and notable concentration. Dense, dark purple with an outstanding bouquet of dark fruit, this wine is very concentrated. There is a superb depth of fruit throughout and yet it is very well balanced, even silky behind. An amazingly intense example of this vineyard. Patrice and son Maxime Rion are tweaking their techniques a little by reducing new oak and slightly increasing extraction in the pre-fermentation stage. The results are impressive; in 2011 the wines have come in naturally at around 12.5% alcohol and they show a true sense of balance. 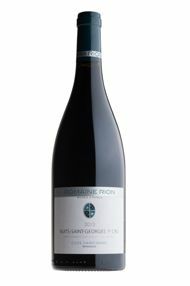 The nose is quite discreet at first, with the fruit on the cusp of red and black, and builds subtely on the palate but with excellent fruit and very good length. This is a world exclusive for Berry Bros. & Rudd and is, quite simply, terrific. Quite a pale pink-purple, this is discreet at first, but then it suddenly begins to sing. It continues through the mid-palate to a very clean, long, perfumed finish. An Amoureuses of finesse more than exuberance. The site was planted just after the war. There is plenty of Chambolle silk and seduction here; it’s caressingly soft with a rounded coulis of red fruit and a lovely, reassuring length. The finish is open and accessible, yet again showing the charm and understated potential of this vintage. Drink 2022-2030.